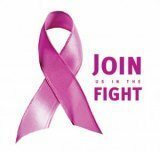 Today, we are one week into Breast Cancer Awareness Month 2012. Last week, a press release was put out about the story of our own Debbie Laster. and her brave battle with breast cancer. In the spirit of Breast Cancer Awareness month, we would like to now “share outside of Panel Built” the story, and advice, of Debbie Mawyer, Debbie Laster’s office-mate and primary means of support throughout her therapy. Debbie M., whose mother had undergone treatment for Stage 3 cancer years before, has been gracious enough to share her own words. According to Debbie M., she and Debbie L. “gave each other inspiration,” that needs to be shared and spread as widely as possible. Throughout Debbie L.’s treatment and recovery, Debbie M. said her primary goal was to “keep the stress outside the office,” by any means necessary. Whether “laughter… or good faith healing,” Debbie M. knew her role as a team player was to help focus on “how to play the curveball” that Debbie L.’s diagnosis had thrown. Incredibly, Debbie L. never missed a day, and “wouldn’t even leave early,” despite exhaustion from her radiation therapy. Debbie M.’s experiences with cancer not only helped her aid Debbie L., but also helped her gain overall knowledge of preventive measures, a process she calls “inspiration taken forward.” Debbie M. had some very informative and easy-to-implement steps for a more preventive lifestyle. First and foremost, “it doesn’t stop after treatment.” This mindset applies to both patients and supporters alike. For patients, don’t let the completion of your treatment be the end-all goal. Once your treatment is over, take a page out of Debbie L.’s book. Walk that extra quarter-mile. Forego that extra snack. Your strength and stamina will come back 100%, but it takes time. For supporters, think of it more like a metaphor. Don’t let your spreading of awareness stop after October. Any advice you can give, event you can attend, or donation you can make is just as important through the other 11 months of the year. The National Breast Cancer Foundation even has a program set up called the Early Detection Plan. Setting up an EDP allows the NBCF to send you reminders about when to do self-exams and when to schedule your clinical exams. Next, “read the ingredient labels.” Does that ingredient list have all kinds of confusing names and preservatives? If so, do a little research. Some ingredients are rumored to have links to cancer. And remember, it doesn’t matter who you are: age, race, and gender do not factor in when considering your potential of contracting cancer. For more information, check out the original press release chronicling Debbie Laster’s treatment and the lasting effect it has had on her life. Also, we at Panel Built, Inc. will be showing full support during Breast Cancer Awareness month. Make sure to check us out on Facebook, and keep track of what we are doing to help spread awareness. According to the National Breast Cancer Foundation, every $100 provides a mammogram to a woman in need. Well, somewhere out there, a woman will receive her necessary screening, thanks to the efforts of Panel Built, Inc. and its dedicated employees. Through our fundraising and donations, Panel Built was able to donate $148 to the National Breast Cancer Foundation. However, it doesn’t stop there. Through other efforts such as wearing pink ribbons or participating in Pink Friday (which was a huge hit), Panel Built was able to help raise awareness as well as money. “We were able to bring awareness and a sense of encouragement to those who have gone through [breast cancer],” says President Mike Kiernan. Though every dollar helps that much more, Breast Cancer Awareness Month was a great success. Providing one woman with the opportunity for an examination makes for a satisfying month. Every new case is one more case too many, and the opportunity to detect Breast Cancer ahead of time cannot be overlooked, despite lack of personal funds. Together with the National Breast Cancer Foundation, perhaps we can prevent one more tragedy from happening. Just because October is over doesn’t mean the awareness should stop. Help us by doing your part 12 months out of the year. Volunteer, donate, or help by raising awareness in your community. Every case is one case too many.